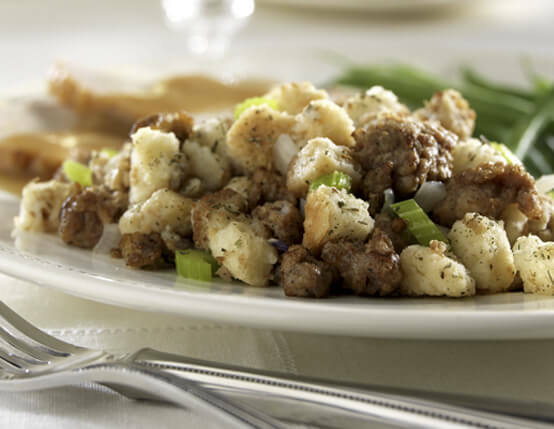 If a classic sausage stuffing recipe is what you're after, look no further. 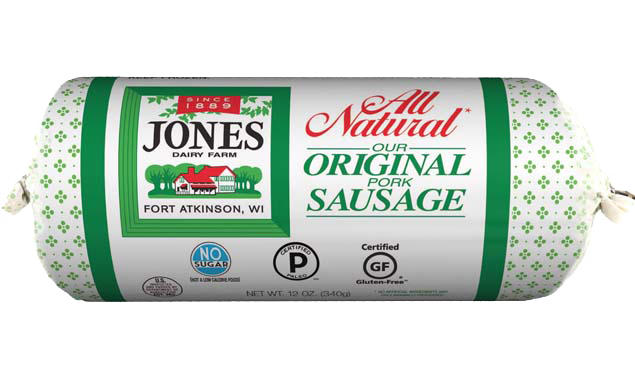 Jones pork sausage provides a rich, savory flavor that your family will love. Crumble sausage into a stock pot or Dutch oven. Add onion and celery; cook over medium heat, stirring occasionally until sausage is no longer pink, about 6 to 8 minutes. (Do not drain or pour off drippings). Turn off heat; add stuffing mix, stirring until bread cubes are evenly moistened. Transfer to a greased casserole dish. Bake covered in a preheated 350˚F oven 30 minutes or until heated through. (For drier texture, uncover casserole during last 10 minutes of baking). Some of the stuffing may be used to stuff turkey. Stuff bird loosely right before baking. ​Great stuffing! ​Add water chestnuts for a little more crunch.